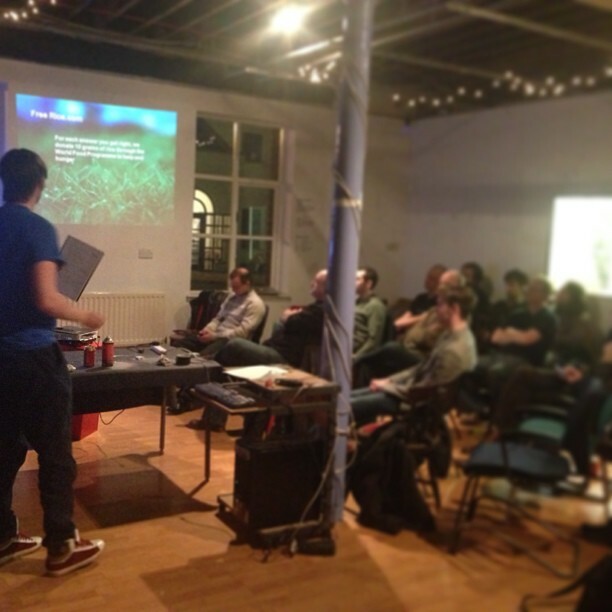 Last week before GameJam, I presented a segment at Bloc54 Belfast and Derry/Londonderry about ‘Gaming for Cause’. 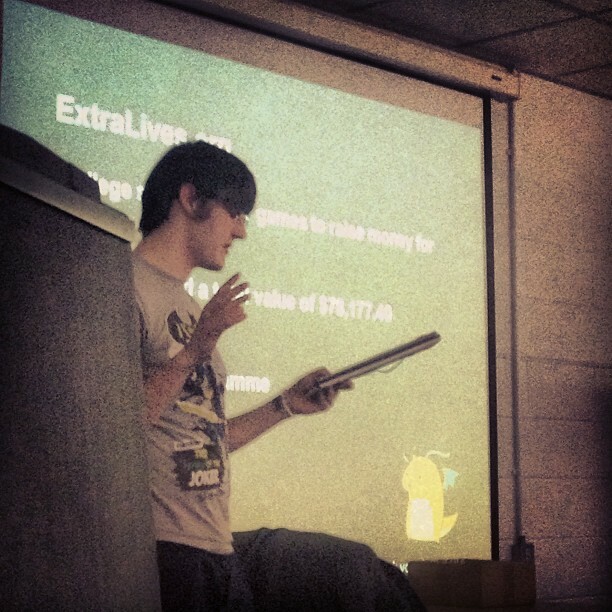 I developed my talk about how my dissertation was built to create awareness of Health and Safety in the home, personal achievement building with Superbetter, donating to charities through games such as FreeRice and Extralives. Ending with my speculation between World of Warcraft and the Guardians MP Expenses game. Here are a few pictures taken kindly by Alan Hook from the events.